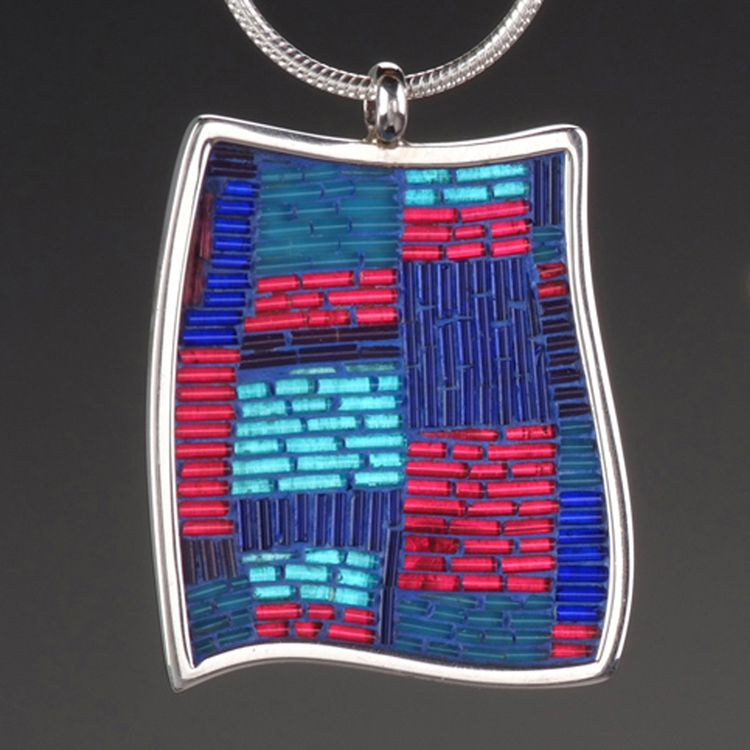 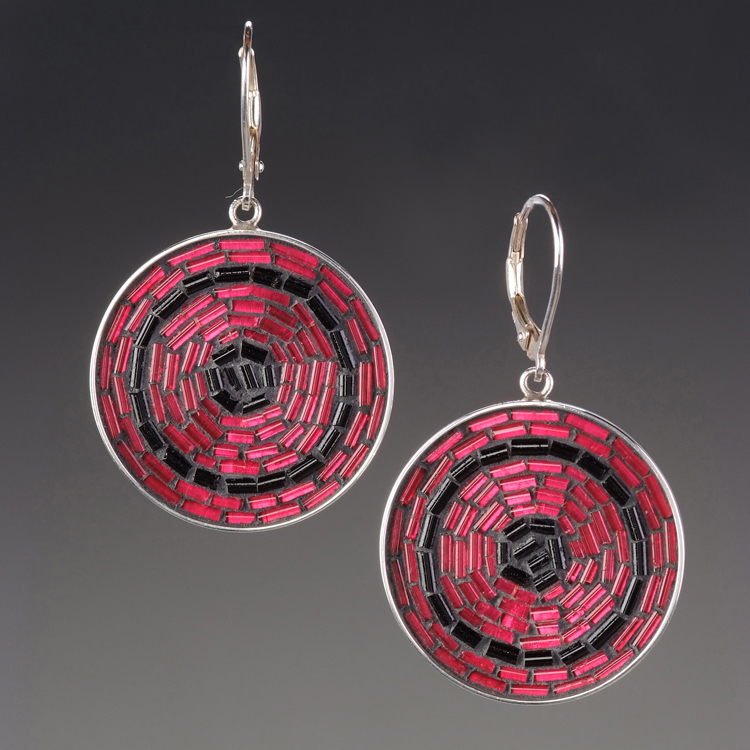 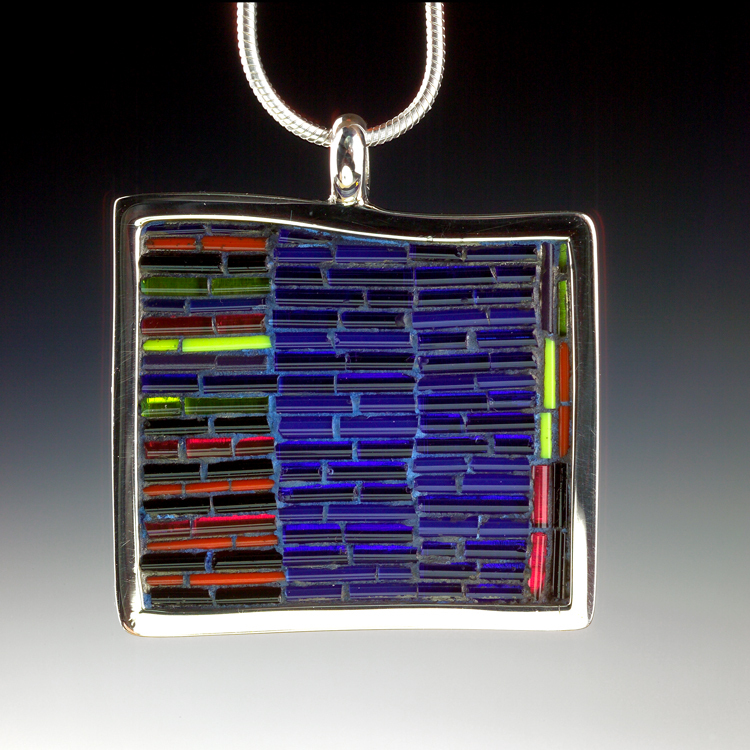 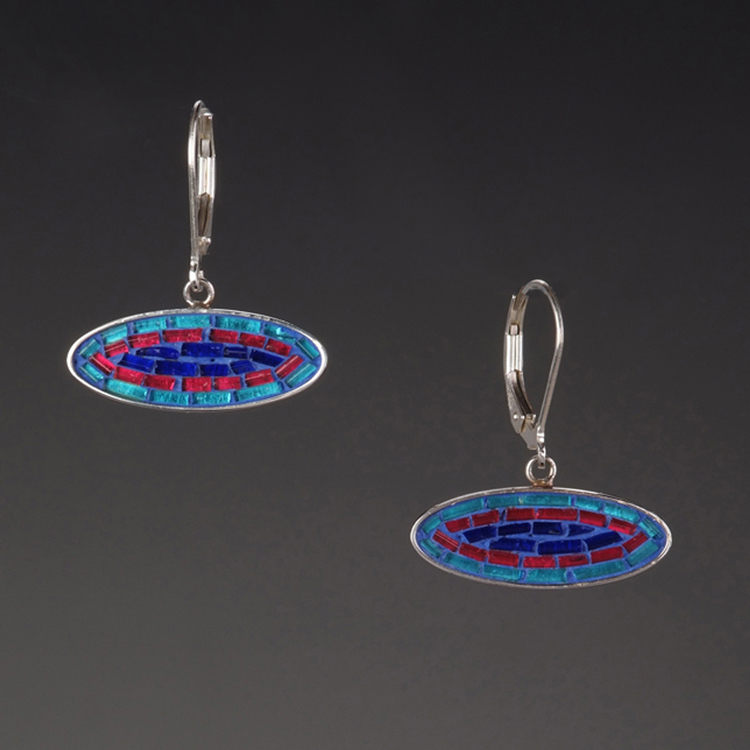 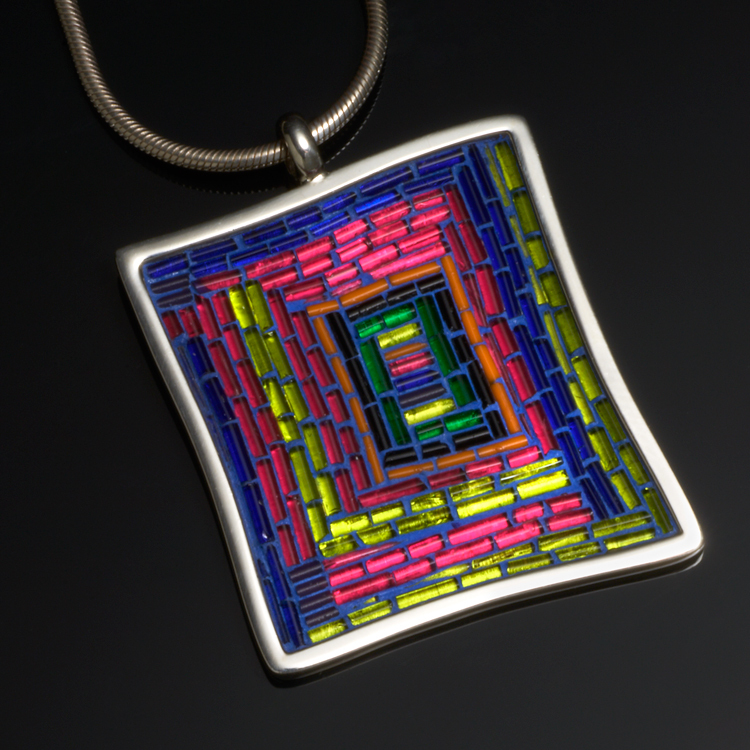 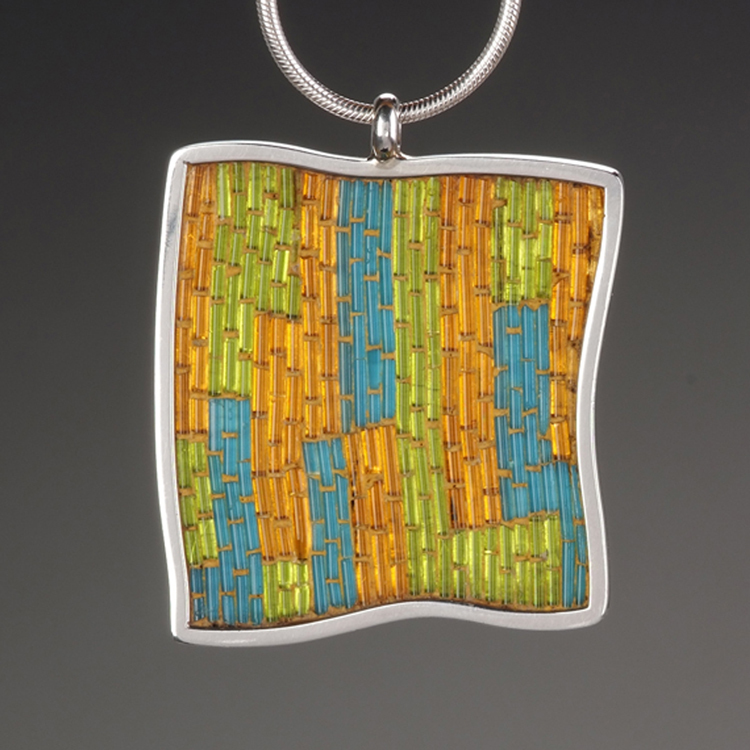 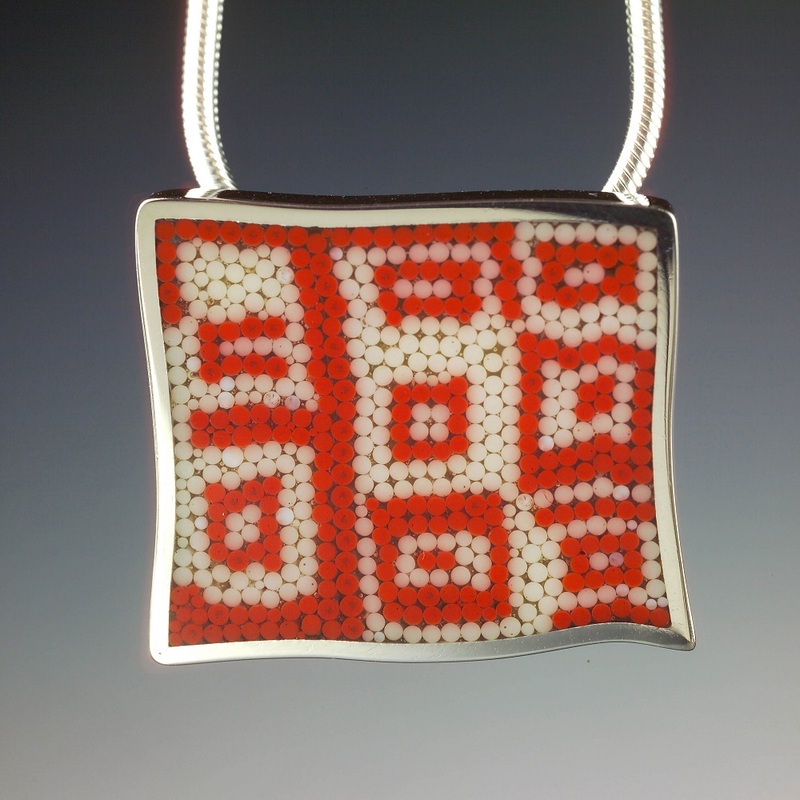 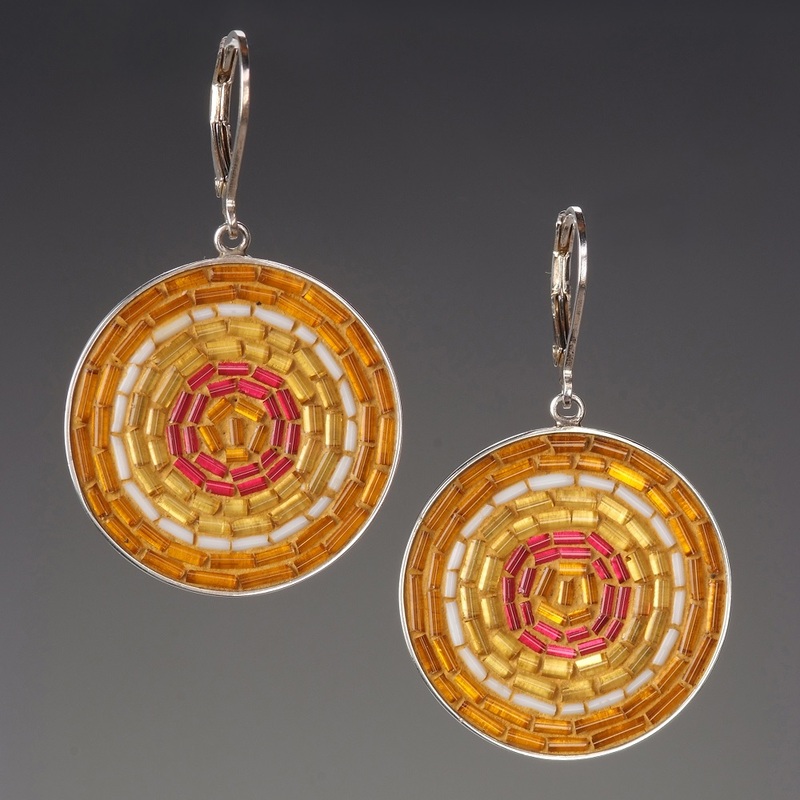 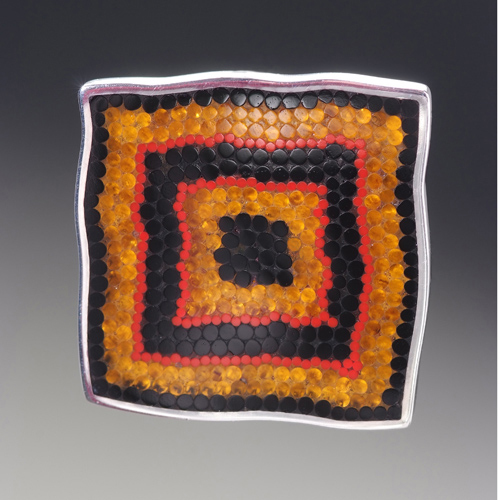 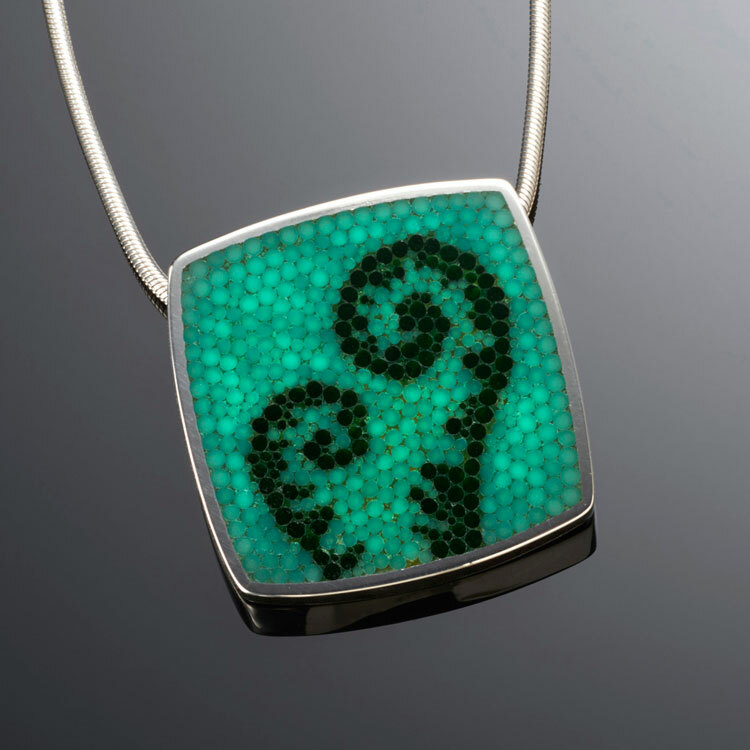 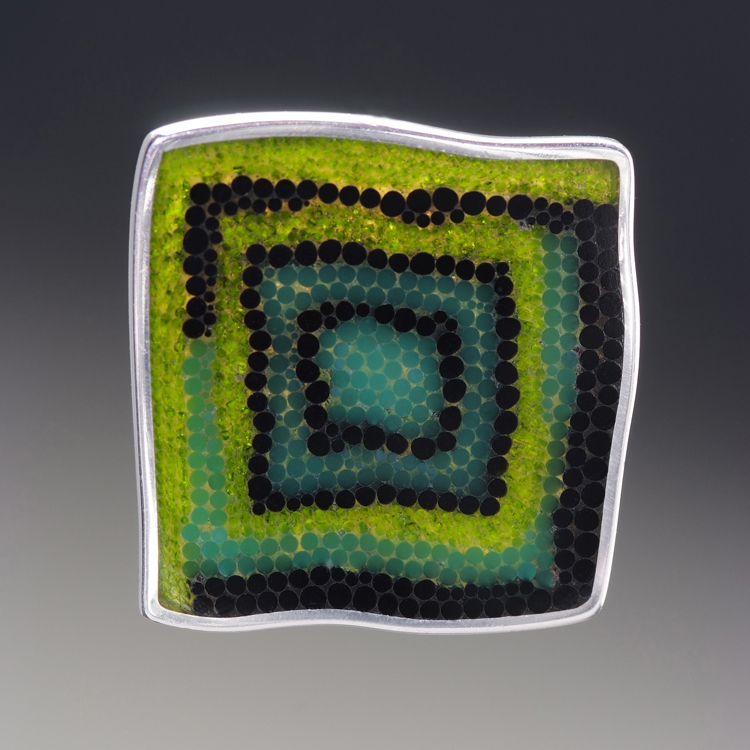 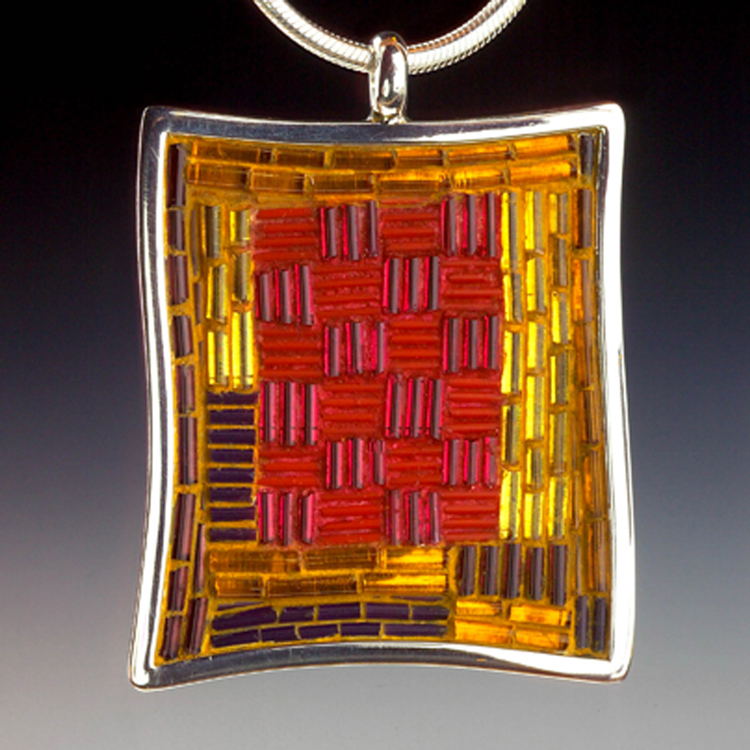 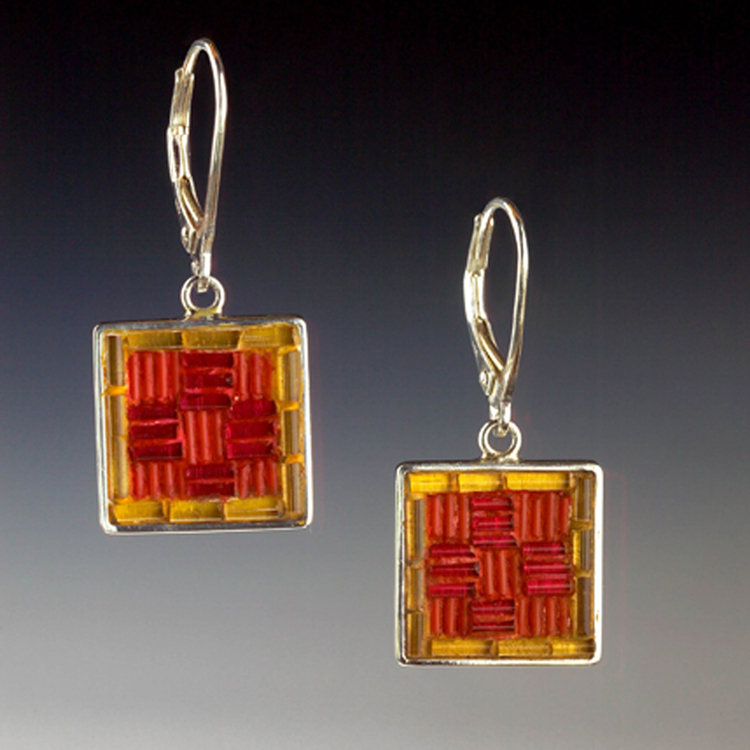 Modern Micro Mosaics are made from thin strands of colored glass called stringers or tesserae. 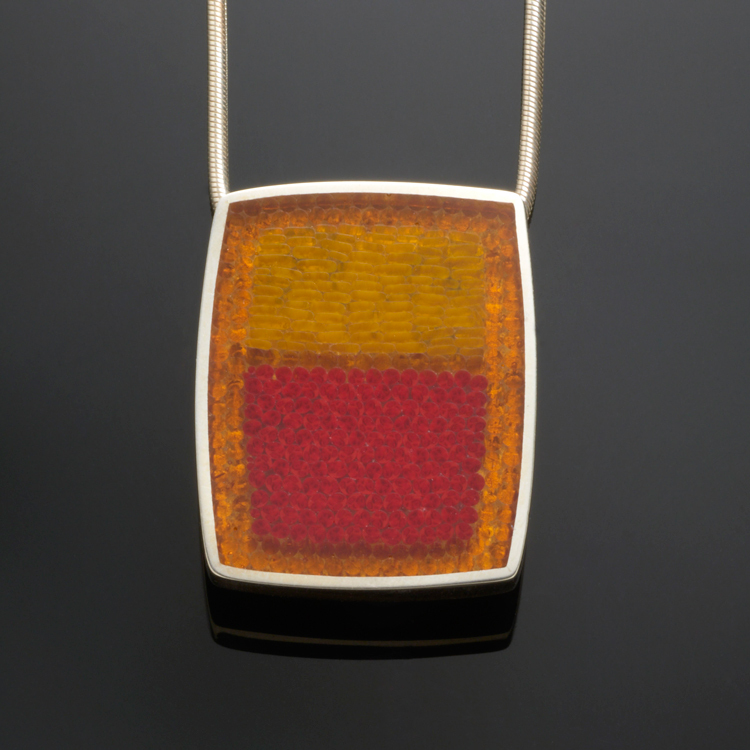 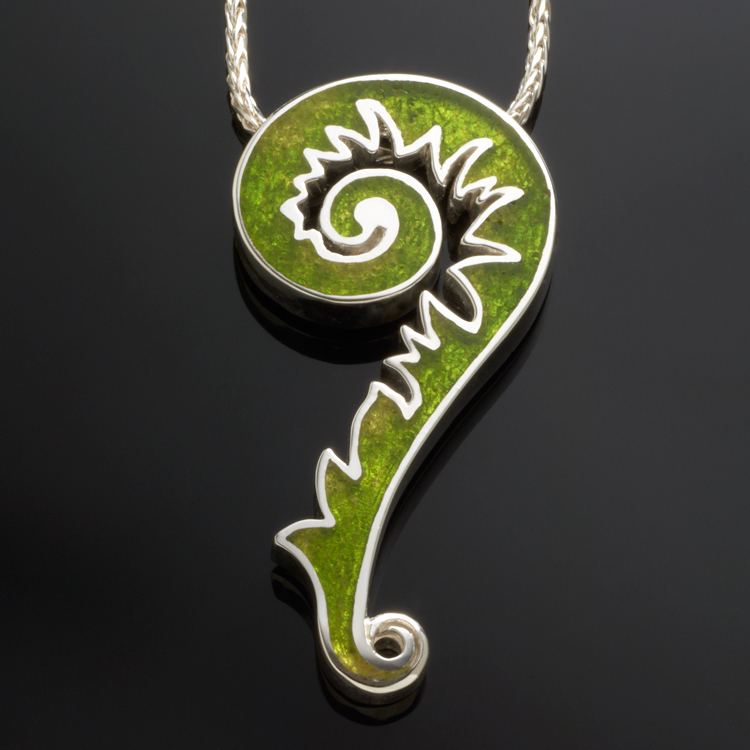 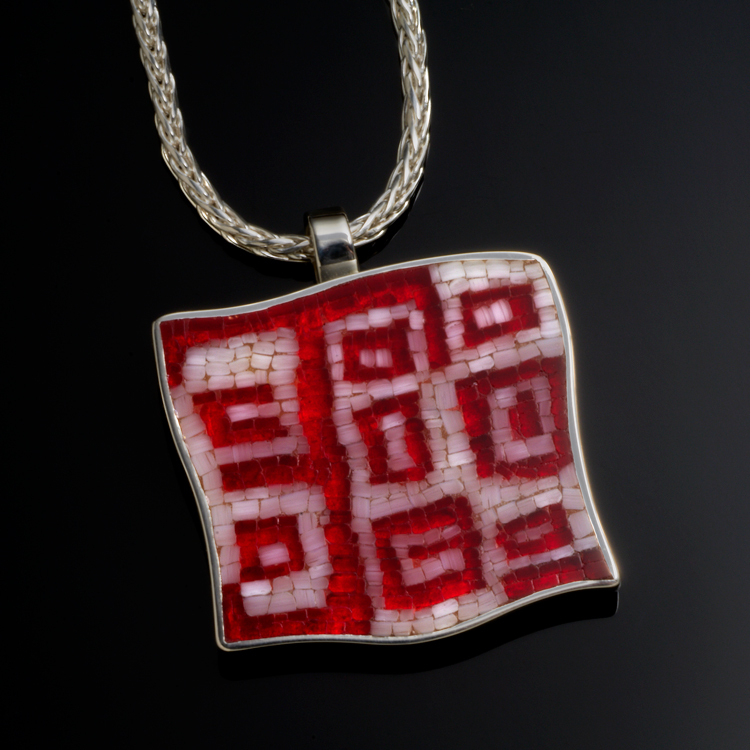 The glass is hand scored and cut into small segments and meticulously set into a handcrafted bezel of Sterling or Gold. 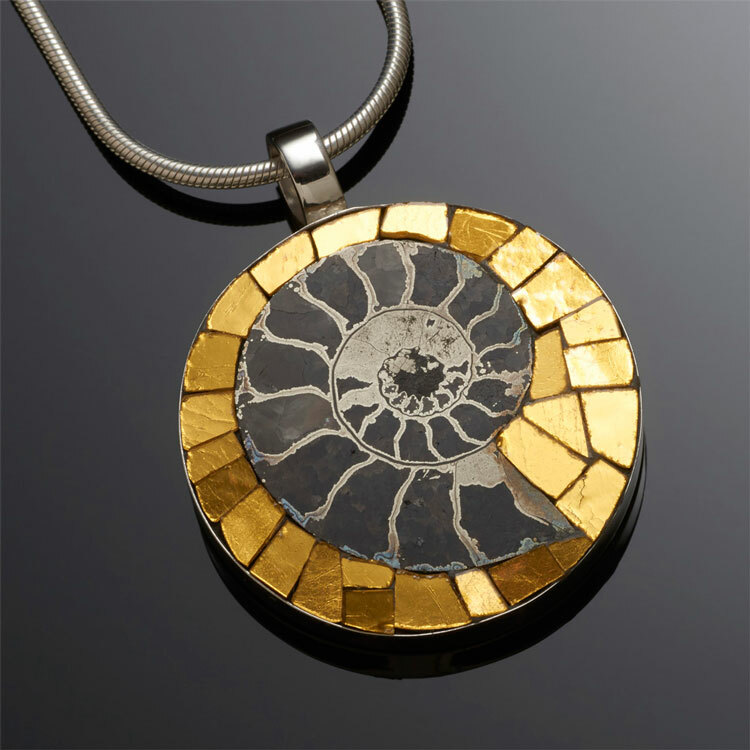 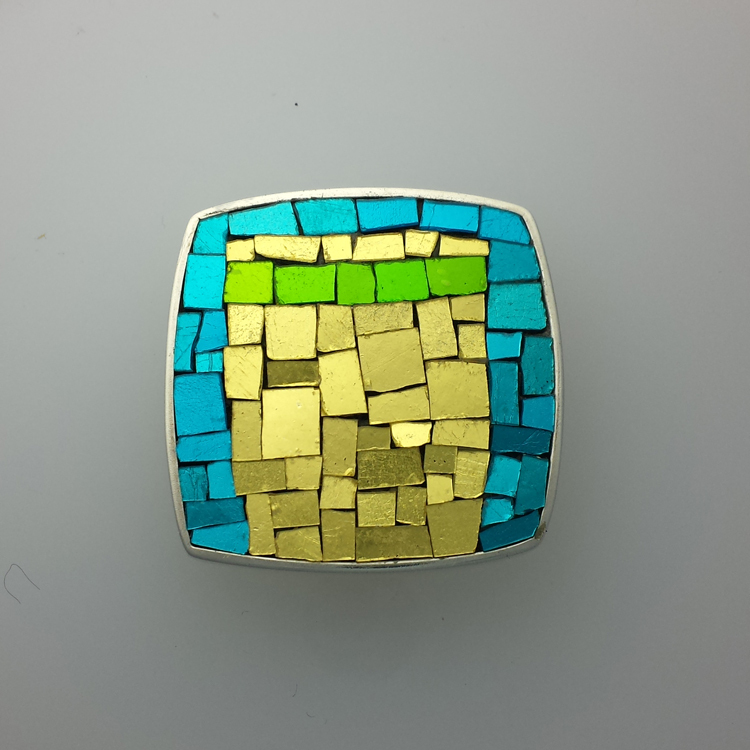 After the bezel is filled, the mosaic is ground and polished to produce a smooth finish. 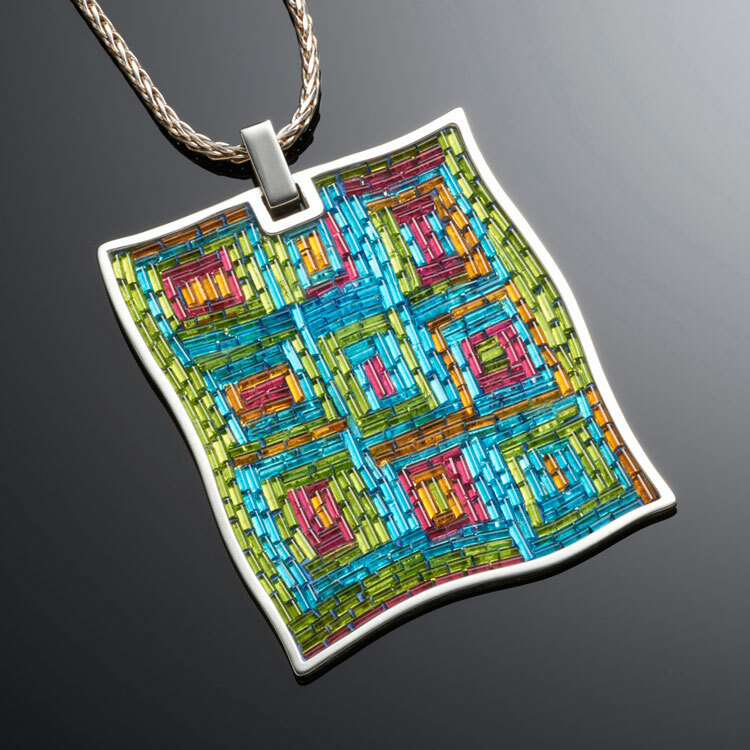 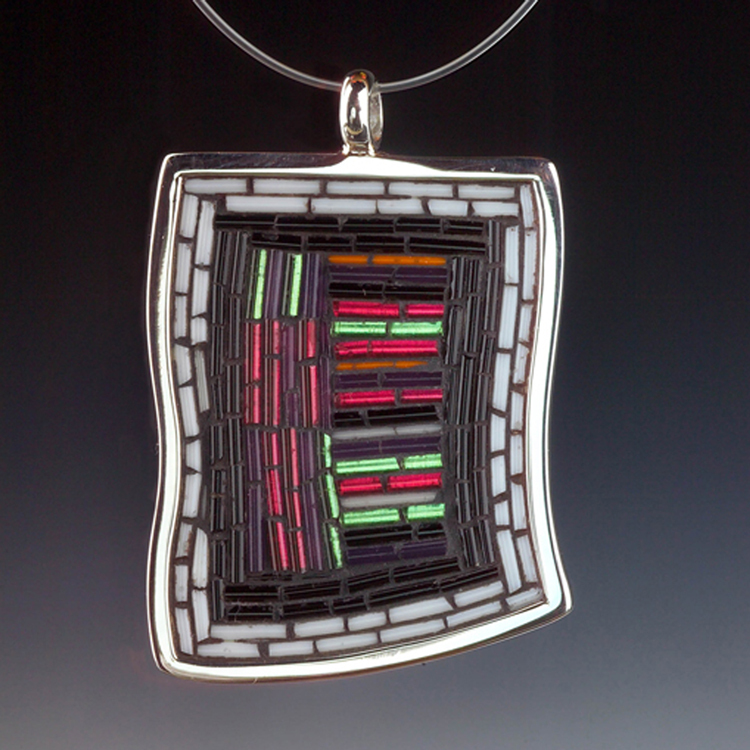 Modern Mini Mosaics are made from thin strands of colored glass called stringers or filato. 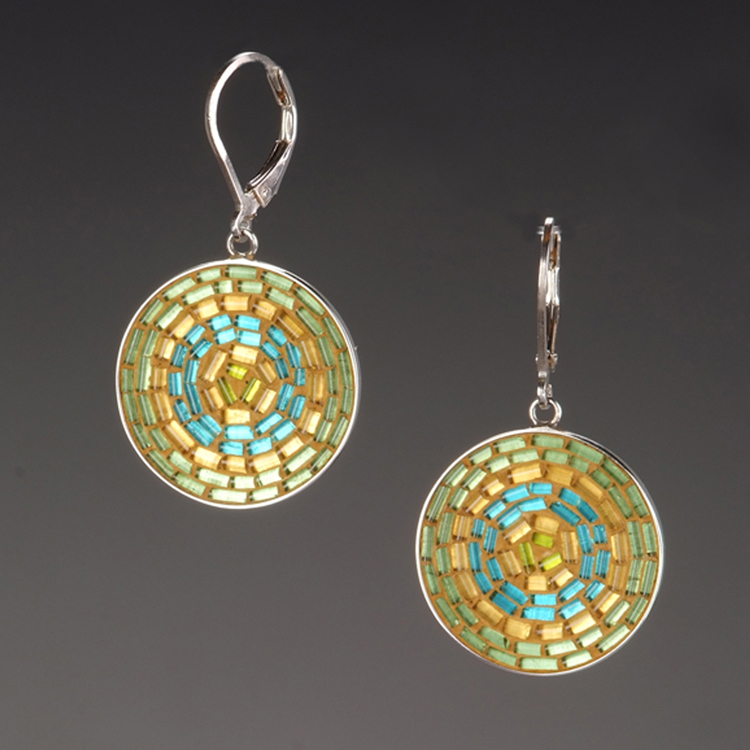 The glass is hand scored and cut into small segments and meticulously set into a handcrafted bezel of Sterling or Gold. 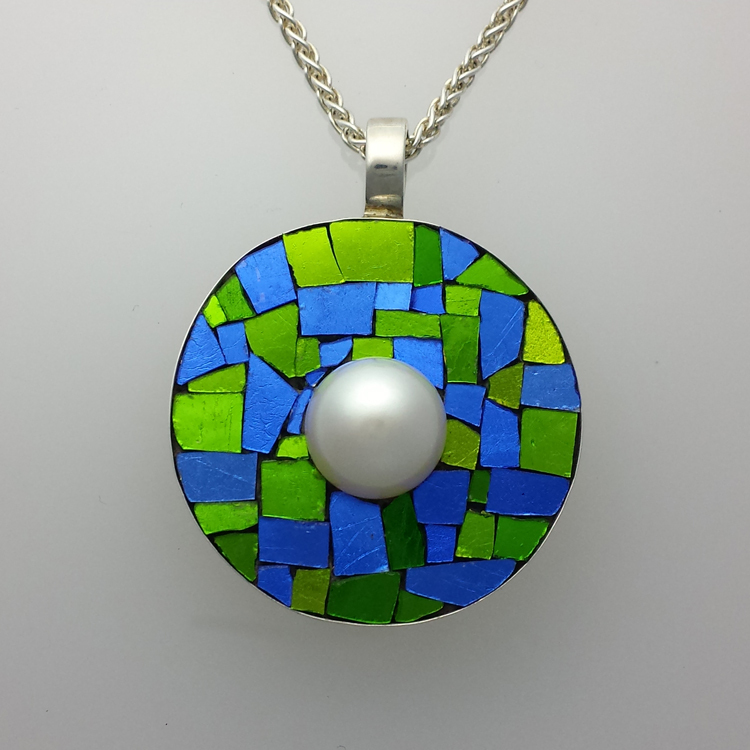 After the bezel is filled, the mosaic is grouted and sealed. 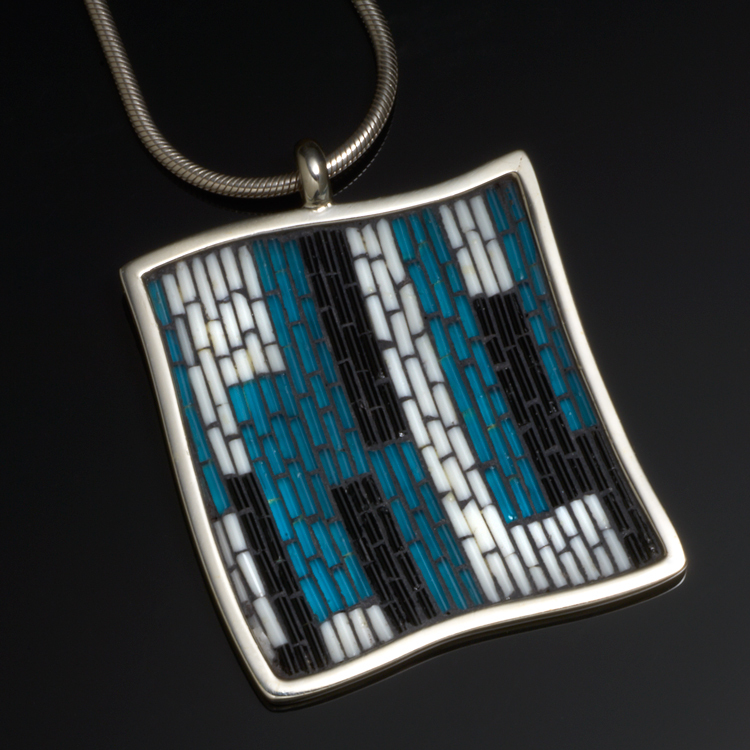 This method gives the mosaic a textured surface. 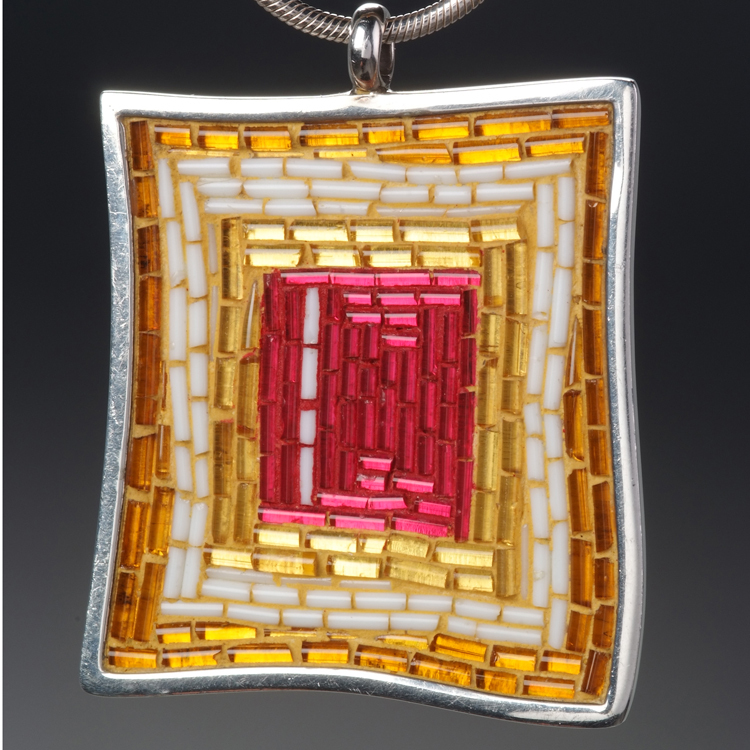 Modern Gold Leaf Mosaics are made from 24k gold and glass tiles called Smalti. 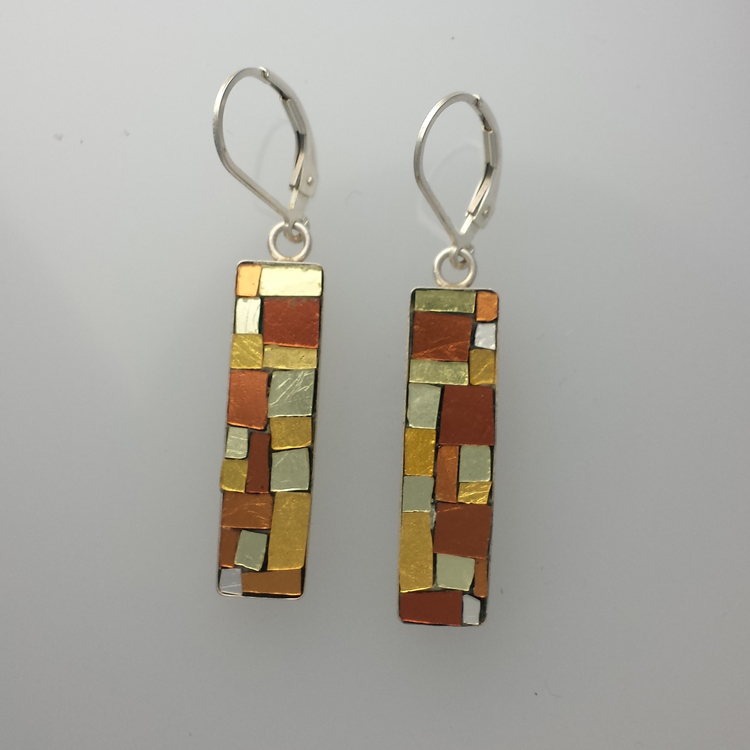 The tiles are made by a company in Venice, Italy. 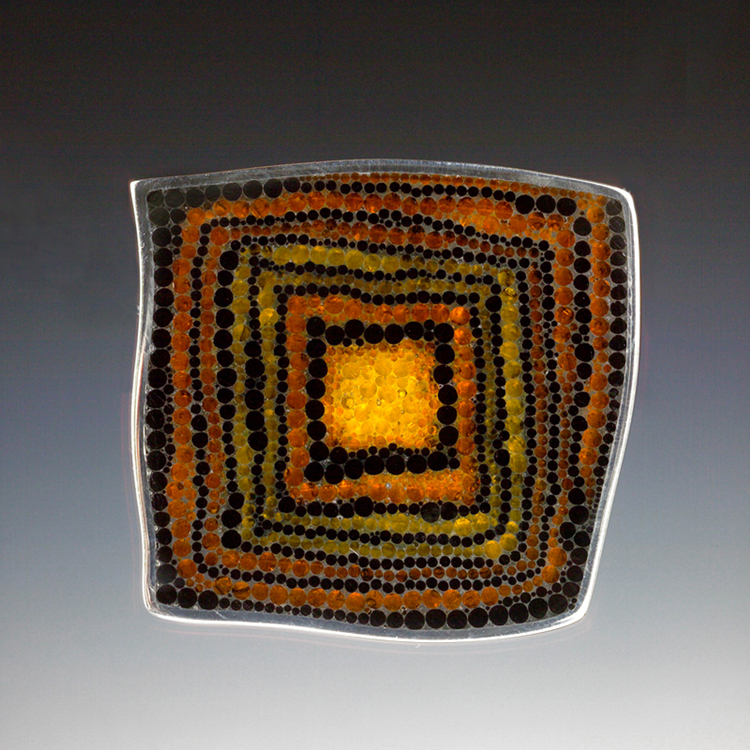 They sandwich a thin layer of pure 24k gold leaf between 2 layers of hand poured glass. 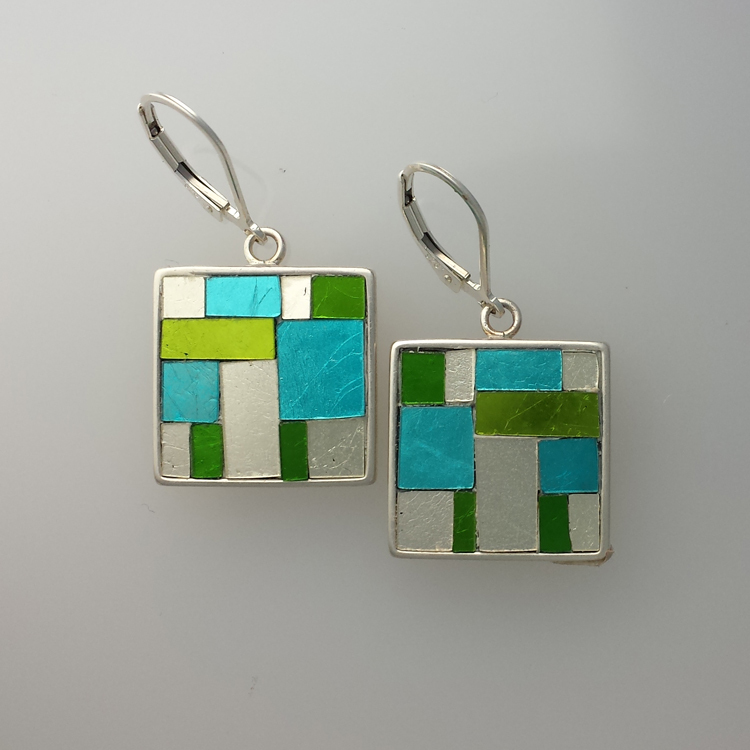 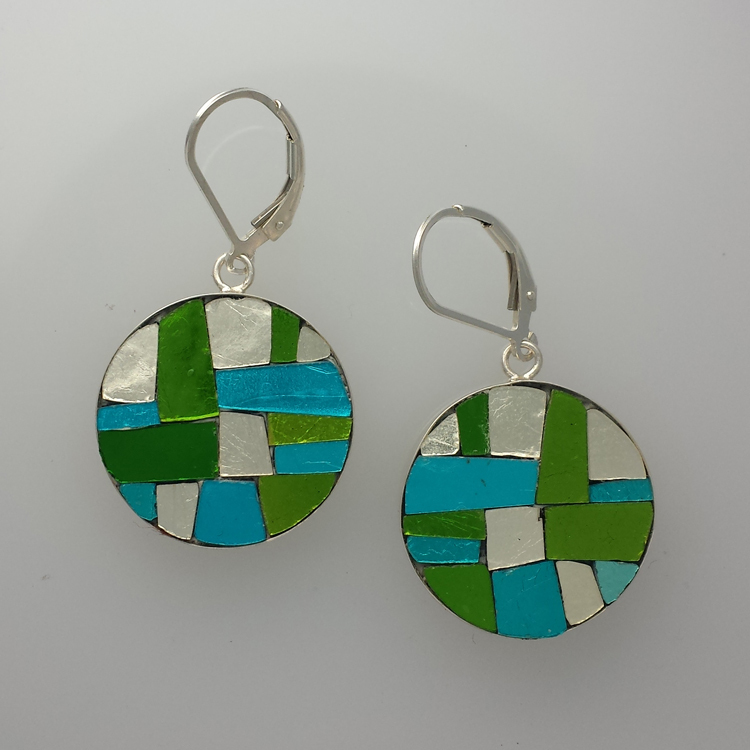 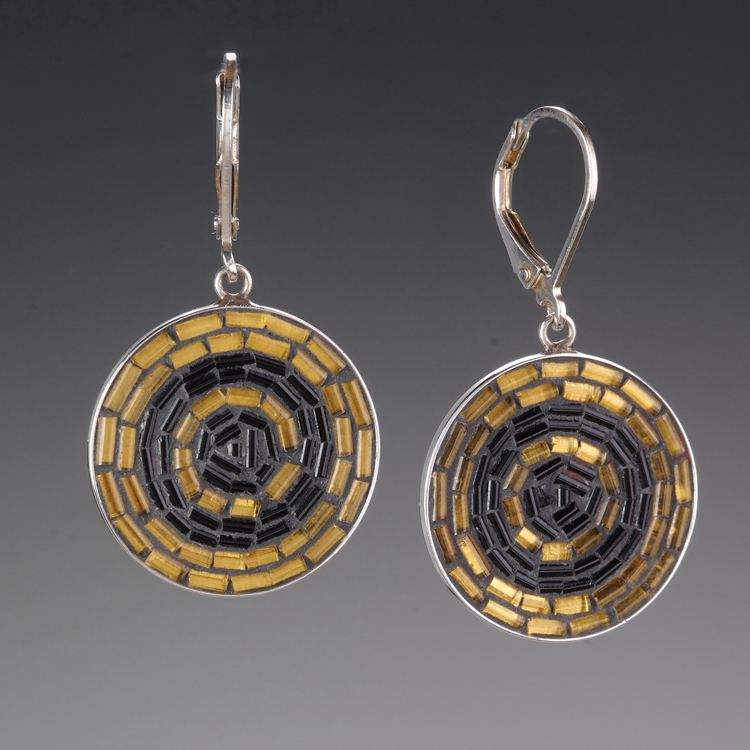 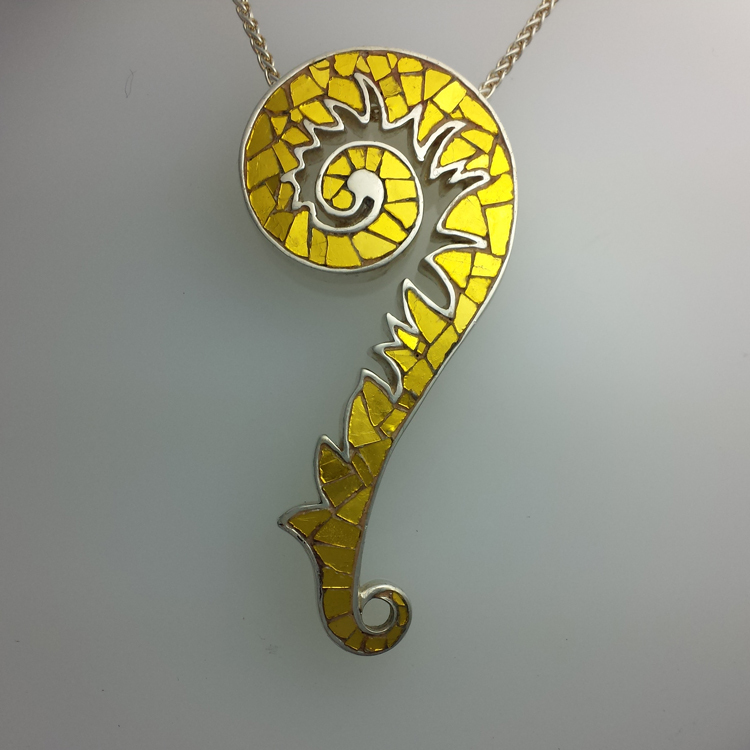 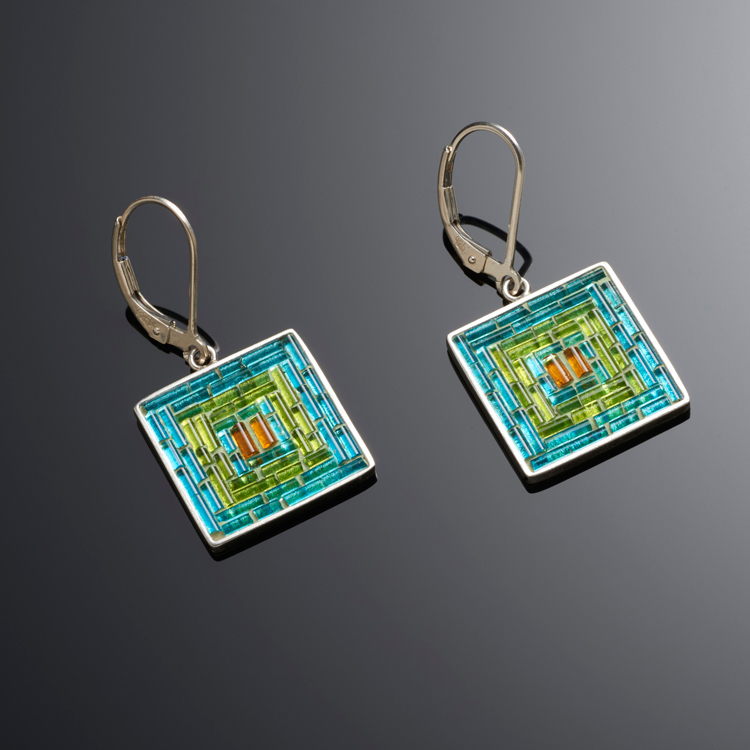 I then hand cut each tile and set in a handcrafted bezel of Sterling Silver or Gold.